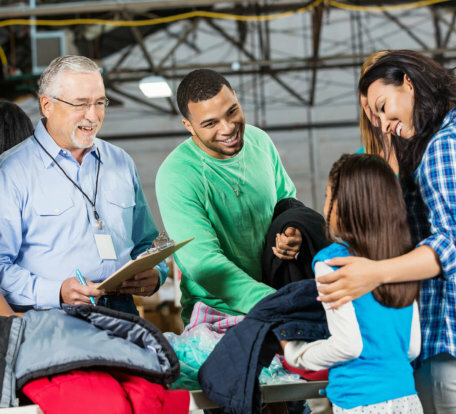 From gently used items, to financial gifts, to volunteering your time. Giving comes in many shapes and forms. Find out how you can give your time or donations. We value all types of philanthropic giving and want to ensure that our donors give in ways that are meaningful to them. 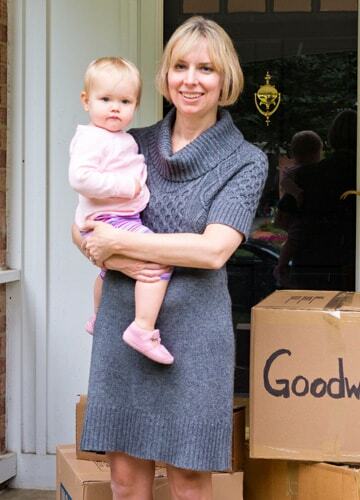 Maybe you want to join the thousands who donate their gently used items to us each year? Maybe you may want to make a financial gift? Or perhaps you might like to give of your time and talents to us as a volunteer or business partner. Whatever form of giving you wish to engage in, we want you to know that you are valued and that your giving represents a significant investment in our mission of Building Lives That Work. More Than 1.2 Million Donations in 2018! 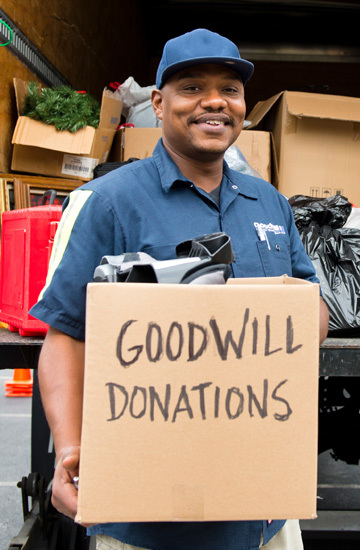 Help make a positive impact on the community by being one of Goodwill's next donors today. How Can I Give to Goodwill? Make a financial contribution, offer gently used items, or donate your time. In 2018, we received more than 1.2 million donations! You can donate at our stores or Donation Xpress Centers. They are conveniently located across our six-county region. Click here to use our Opens new windowDonation Tracker. With the help of generous supporters, we can offer clients opportunities to achieve greatness. This means job placements and job skills trainings, serving veterans and our youth and developing innovative ways to prepare the workforce of today for the jobs of tomorrow. Are you an individual looking to volunteer or a company that would like to connect with us? We have many opportunities for you. Sign up today! Please email volunteer@goodwillcfl.org. What Donations Do We Accept? Use the checklist below to help guide your donation list. 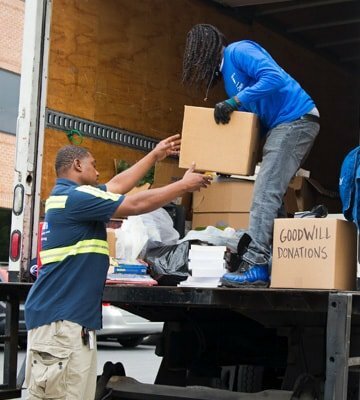 Please note that Goodwill Industries of Central Florida does not have a residential pick-up service. Goodwill Industries of Central Florida hosts various special community events throughout the year. From community breakfasts and our monthly Wow Tours, to grand openings and retail events, there are always fun ways for you to connect with us. We encourage you to join us at these events as they support our mission of Building Lives That Work.